Malta, precisely the “Republic of Malta” is a sovereign country that consists of the archipelago and is located in the Mediterranean, Southern Europe. The country has great geographic importance as it lies between Southern Europe and Northern Africa and has seen the rule of different empires time to time. Also, the country has countless historic sites and remains. This is the reason the country is visited by millions of tourists annually. Human inhabitation on the island date back to approx. 5900BC. Several important Empires including Romans, Byzantines, Greeks, Muslims, Normans, French and the British have ruled the region in their respective periods and the remains of their empires are today a point of interest of tourists. During the “French Revolutionary Wars”, the island was occupied by “Napoleon” on its way towards North Africa. Due to the island’s strategic importance, every empire occupied the island to maintain the hold of surroundings. After the French were defeated, the British took control of the island. The island gave a great advantage to British during the Second World War. The British established several military and naval bases, submarine base, and several military posts on the island. Also, the headquarter of British Mediterranean fleet was on Malta. 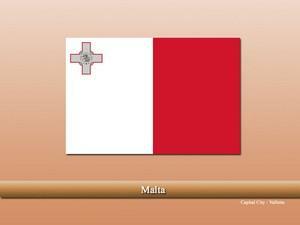 The British maintained their presence until Malta was finally given independence in 1964. Although the archipelago consists of several islands, only three (main) of them are occupied. The terrain of the islands consists of low-lying hills and fields. Malta has a high-income economy with services being the largest sector followed by a strong industrial base. The country is also a member of Europe union and enjoys several benefits. After the opening of Suez Canal, shipping traffic in the Mediterranean increased giving Malta several advantages e.g. ships stopped in Malta for refueling, resupplying, etc. Furthermore, it also boosted its exports as it was easily connected now by the rest of the world. Catholicism is the largest religion of the country and accounts for 88.6% (2016 est.) of the total population.